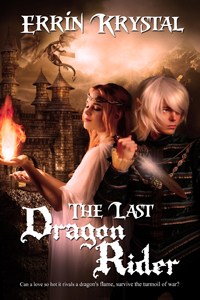 If you are a fan of High Fantasy then you have come to the right place! Do you like romance? Magic? Adventure? A splash of horror and a great deal of angst? How about vampires and elves? Warriors and mages? And the occasional princess? All that can be found right here on my Patreon!WHAT’S THIS PATREON THING ABOUT? Think back to the days of old when artists and playwrights such as Shakespeare and Van Gogh relied on the support of others to create their masterpieces. That is the purpose of this site. WHAT ARE YOU OFFERING? On this page you will be able to read two of my writing projects for FREE! ‘What’s the catch?’ you ask. ‘Isn’t this a kick-starter type site?’ you say. The answer? Yes. WHY PLEDGE IF IT’S FREE? You can read the two main stories, as I have said, for free. Bonus short stories, deleted scenes and unexplored backstories, the option to have YOUR say in the story and monthly GIVEAWAYS! WHAT IS THE FIRST STORY YOU ARE REFERRING TO? THE DARING ADVENTURES OF ADRIC DRYSTEN: CHOOSE YOUR OWN ADVENTURE! This story is for the Patrons! I have Adric, Kinnion and Korina’s backstories under my belt and have set them on their paths. How will you influence their choices? Adric Drysten, is an elite assassin from the Isle of Xargos, bought on the slavers block by the Xargonian masters, when he was barely out of infancy. He was purchased by royalty at age seventeen to serve as ‘protector’ to the daughters of the house. He remained with the family for two years, embarking on an illicit affair with the youngest daughter, the Princess Korina. After their love is discovered, he was forced to leave under penalty of death if he ever to return, the king only staying his hand in deference to his daughter. Adric earns a living the only way he knows how, hiring out his unique skill set to the highest bidder, something that eventually lands him in a jail cell where he first encounters Kinnion, an elf with closely held secrets of his own. MIDNIGHT REDEMPTION – A SERIALISED NOVEL! This right here, is the sole purpose I started this Patreon. I began this story when I was sixteen years old. It was the first novel I ever began writing. Rayven and Violette, the first characters I ever created. It holds a special place in my heart. And now I get to share it with you. Rayven, a young Nildörian nobleman encounters the mesmerizing, Armarra, an ancient and powerful elven vampire late one night as he journeys to the home of his beloved fiancée. Drawn into Armarra’s seductive web, Rayven finds himself surrendering to the ancient beauty and awakens anew as a vampire. Rayven and Armarra cut a bloody swathe across the realms of Véneanár, leaving death and destruction in their wake. However, Rayven, leaving Armarra after an unforgivable betrayal, eventually returns home to the city of Cil-Gariah after centuries absent and is confronted by the ghosts if his past, not for the first time. In a land on the brink of rebellion Violette, is forced to hide her magical abilities and true lineage from the narrow minded people of Cil-Gariah. She works in her father’s tavern, taking care to evade unwanted attentions from the loathsome Gideon Halverston, youngest son to the steward of the south, even as rumors of a string of brutal murders whisper through the city.Violette has accepted her fate long ago, until one night she is rescued from a vicious attack, by an enigmatic stranger, and her life is forever changed.She wears the face of Rayven’s lost love and he finds himself inexplicably drawn to her, even as his past and Violette’s present collide, threatening to destroy them both.This is the story of a love that stands the test of time, stretching across every lifetime, spanning the ages, but always ending in tragedy. Can Rayven defeat the curse that has been unwittingly set upon them and have the courage and tenacity to ultimately save his soul mate?